If you've read this blog for more than a minute you may have picked up that I enjoy a good secondhand purchase. Especially for the short Pattons. I very very very VERY rarely buy anything new for the kids to wear because $$$ and I've learned the hard way that quality is important when it comes to the durability and longevity of kids clothing. The majority of Julia and Sebastian's clothing gets worn double time because they share clothes and is now getting a third lease on life as Theo grows into their old duds. Before Sebastian was born and I was still adjusting to the shock that was Simon's hours I would take Julia to thrift stores around town (usually mostly almost always Goodwill) to kill time ... and kill some more time. And kill some more time until there was no more time to kill. Sadly, this happy hobby came to a screeching halt once I had multiple (just two) children because I tried it once and never again. Enter online thrifting. There are the obvious big guns like eBay and thredUp that I most definitely browse (almost daily -- or nightly -- I've been known to throw down with the best of the insomniacs) and have scored a lot of really amazing deals because the crazy determined bird generally gets the worm. And I can't help but peek at the occasional Instagram closet sale ... I love those too. And I have to admit that I do the vast (vast!!) majority of shopping for used clothing ... on my phone ... like the Judy Jetson that I'll always strive to be. The convenience can't be beat and the ease of apps these days is pretty phenomenal. So you can imagine my excitement when I heard about Kidizen - a brilliant new company that speaks Grace's love language and allows parents (or anyone ... don't think I'm not going to show my grandma how to utilize Kidizen on her iPad mini when we visit her next) to buy and sell pre-loved kids clothing with their nifty and super user-friendly app. 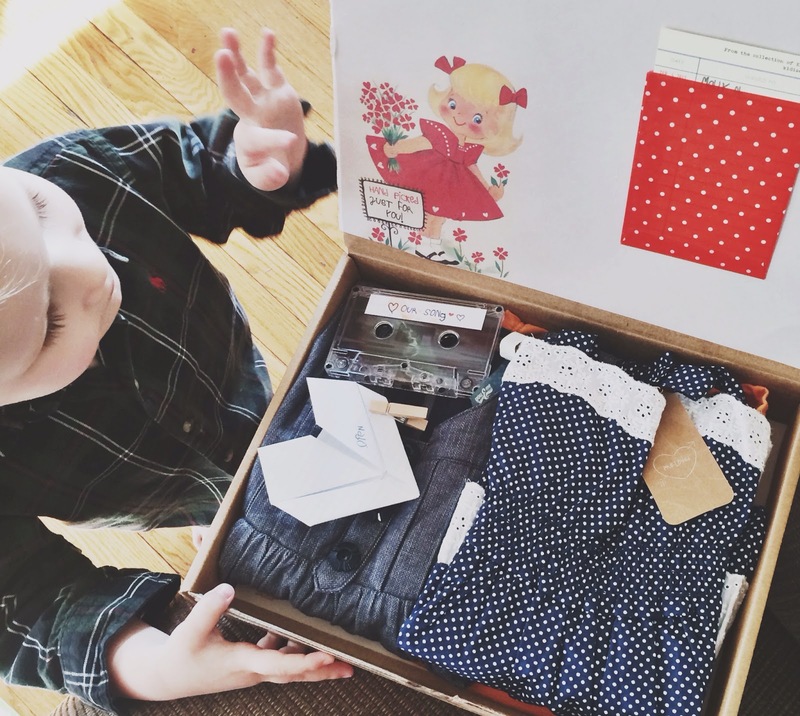 They handpicked and sent a few things (including the Matilda Jane jumper she is rocking above) for Julia a few weeks ago and we were both blown away by the adorable packaging ..
... and the stellar condition the clothing was in. My thrifty heart soared. Right now Kidizen clothing can be purchased by downloading and accessing their free app or by browsing their Pinterest boards (that are linked to their site where you can purchase the clothes with a credit card or PayPal) and they are working on an app for Android phones and a website where you can also buy the clothes directly. I don't want to admit how much fun I had (after a day/night of transitioning the big kids into sharing a room and Theo out of the attic ... so I didn't think fun was in the cards for March 23, 2014 ... more on that later ... of course) picking some pieces from their Pinterest boards. Their inventory truly runs the gamut of legitimate vintage and brands I would never dream of buying firsthand and one of my favorite things about Kidizen is that the prices INCLUDE SHIPPING. Genius. So genius. It's super easy to snap photos on your phone, upload them on the app, and list them to sell as well. I have a really hard time getting rid of the kids clothing but the nesting bug is getting antsy and I'll be all over this one of these pre due date weeks. 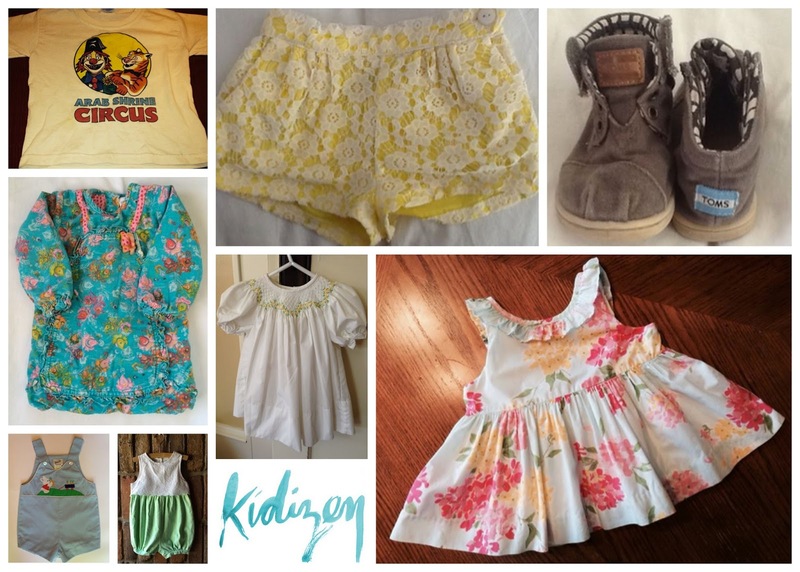 Kidizen is generously giving away $150 worth of clothing to one super lucky winner. If you're name is drawn - you'll just give them the size and styles you prefer and they'll pull together a killer new wardrobe for your son or daughter or grandson or you get the photograph here. Thanks in advance for following the Rafflecopter directions and imagine my finger cutting across my throat with a glare if you don't. I am in love with the yellow shorts and the blue dress. Do they have them in big kid sizes? Heh. Can I get the little floral dress in the photo, in my size? Sigh. I can dream. Okay, not sure if this will work or not? Those little Zara shorts are super cute. this vintage inspired kids room- can we just take a minute to acknowledge the adorableness? I feel like this dress is a throwback to my childhood. And I love it. Look at the little tiny TOMS! I had to pin Julia! She is the cutest, this outfit is the cutest, I want thrifty clothes for Joony! Matilda Jane, yum! This is going to occupy way too much of my time now, methinks. Those green Strasburg overalls. I die! I get most of my kids clothes second hand too! This wouldn't work last night from my phone for some reason. There are so many cute clothes! I finally had to tell myself to *focus* and just copy/paste something! Naturally I had to pick something for both of my girls! Super brilliant to have Pinterest boards organized by genre/style. LOVE it! And sorry for the offhanded question last time. I'm excited to try kidizen out! I've been wanting some little Converse for my little man! What a cool idea, thanks for sharing it with us! I LOVE these little boy toms! 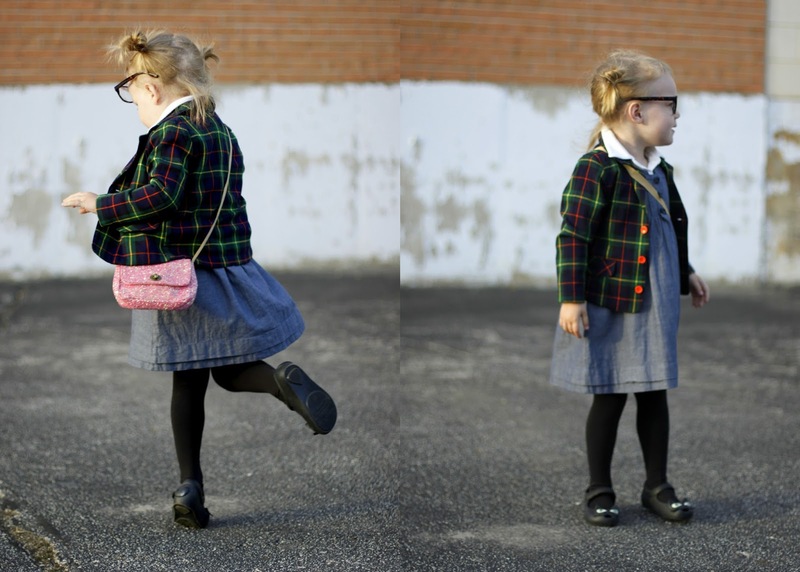 http://www.pinterest.com/lifeonatilt/kid-fashion/ - So sweet and reminds me of something I bought this weekend at an antique store for my SIL! I don't have pinterest either! Oh well, cute stuff! Love a quality second hand find! I LOVE this table and chairs. Ridiculously cute and probably a little mature for the non-walking baby...but eventually. Who doesn't love an adorable smocked dress?